It really is great stuff, I have even used it on my horse! I like that it is natural and not tested on animals. I did not believed it, this gel made me so much better. I can do more than ever before and without pain! I heard that you can use it on horses and believe it or not, he was smiling at me. I have used Polar Frost gel for over 20 years for arthritis in my hands and right knee (no cartilage left in the knee). These are chronic conditions which can’t be cured. Nevertheless, I don’t want to take painkillers and have used Polar Frost almost on a daily basis which has given and still gives me the relief to allow me to get through and also enjoy each day. 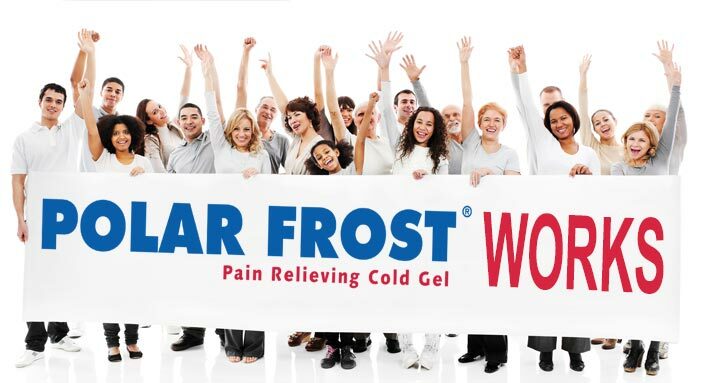 Polar Frost is the best pain relief gel there is without a doubt!